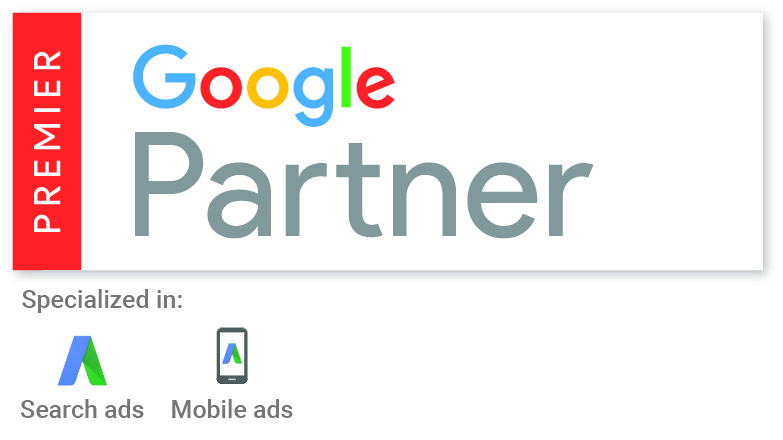 This week, bandv is very happy to have been awarded the Google Premier Partner badge. This means Google recognises us as having advanced PPC knowledge and demonstrating a higher level of AdWords skill and expertise. A very well deserved award for our SEM team, who have put many hours into ensuring our clients’ AdWords campaigns get off to a flying start and remain in tip-top condition. The SEM team, more than anyone, appreciate the complexities of running a successful PPC campaign, so we’ve asked Mark Underwood, our SEO and PPC Executive, to share his expertise and highlight some common mistakes companies often make when starting their AdWords. By default, Google will try to capture any traffic it deems relevant by including synonyms of your keywords. For example, setting ‘Metal Band’ as your search term could bring in customers wanting iron bands or copper hoops - not ideal when you’re selling Iron Maiden tickets. Instead, using ‘+Metal +Band’ will tell Google you only want to bid on those exact terms, giving you far more relevant traffic. A recent change in the AdWords platform means ads without geo-targeting applied will show worldwide. This means that if you're a local business and don’t specify the town, county or country you’d like to be showing for, you'll be appearing in results across the world – leaving you with an expensive bill and irrelevant traffic. By removing unwanted terms you're stopping yourself wasting money on worthless traffic. If you're trying to sell Apple products, such as iPads, you’ll need to add terms such as fresh, fruit and pie to your negatives. This will cull irrelevant traffic, make your budget stretch a lot further and stop Granny Smith enthusiasts bouncing off your website. Your searches, ads and content need to be consistent, not only with themselves but with the intent of the user. If you bid for the term "kettle repair" and show an advert for a microwave or send them to a landing page for oven services, your bounce rate will rocket and your quality score will plummet. For maximum relevance, all your customer touch points need to be tailored to match their query. Keeping everything consistent will keep your quality score high and therefore your cost per click low. This ties into the point above. Not only do you have to serve the customer intent, but you should make sure the landing page delivers exactly what the user is expecting. 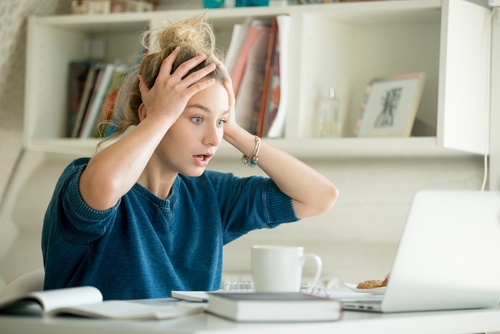 If there’s a disconnect between what’s promised on the advert and what’s on the landing page, your audience will bounce straight off the site. We always recommend having a custom landing page for each of your ad groups where possible, which should include relevant text from the advert above the fold. Never assume you’re safe to write Google a blank check and walk away. Even large budgets can be burned through surprisingly quickly, so if you don’t tell Google exactly how much money you are willing to spend, you'll soon be applying for new loans from your bank manager. AdWords is based on a bidding system, so the higher you bid the higher you appear (although there are other factors to consider with this, such as quality score etc.). Consider your ROI carefully, while it’s true the top spot gets the most traffic, it could cost double or triple that of space 2 or 3. If you turn on accelerated bidding, your budget will be used in the shortest time possible. This could be good for getting your brand or product noticed, but if the best conversions for your product are at 5pm and you're maxed out by 11am, you're not getting the best out of your account. Day parting is a useful tool to optimise your budget. Once you have enough historical data to show what times perform best for your account, you can apply modifiers to tell Google how much you’d like to bid at certain times of day, such as increasing bids by 20% between 2-4pm and reducing them 50% on weekends. A good way of budgeting is to split the account into campaigns and apply separate budgets to each, depending on how important they are. So, if one campaign burns out early, the others can continue, ensuring customers aren’t lost. Never assume you know what the user wants unless you have data to back it up. You're likely to be very, very wrong. Always split test your ads and use the information to decide your next campaigns, the most enticing content and the allocated budget. Ad extensions are additional information you can apply to your adverts. These can range from call extensions (adding your number), to simple headers that provide information or links to other pages elsewhere on your site. Extensions are a brilliant way of improving relevancy and interaction as well as making your ad larger, taking up more space in the search results and standing out against competitors. Bidding on brand terms has always been a controversial topic with advertisers, with some people refusing to pay for traffic they can get “for free” as organic traffic. We advise that unless you own all web properties on the front page you bid on your brand terms. This will prevent competitors from taking qualified leads from you. What’s more, the traffic from these ads couldn’t get any more relevant and will result in a high-quality score from Google and low costs per click. Find out more about AdWords in our 6 PPC and AdWords myths debunked download.